Facebook is taking on the role of social justice warrior with their relaunch of the Safety Center (Redditors step down for the moment). Equipped with comprehensive tools aimed at squashing bullying before it begins, the Safety Center is in place to make Facebook a safe platform on which to share. With a 21% decline in original content sharing, it only makes sense to take do away with anything that discourages people from bearing their souls. The underlying notion of social media is self-expression and a supportive community, and Facebook is taking every measure to make that ideal a reality. Considering the vastly wide net cast by the social media giant, the toolkit comes in over 50 languages complete with videos and tips. In the same vein, they have partnered with several nonprofit organisations in order to spread their anti-bullying message to virtually all reaches of the platform. Supports such as the International Bullying Prevention Association and the Cyber Civil Rights Initiative have taken a place in Facebook's business plan. The front page of the Safety Center is Facebook Community Standards, a set of policies in place to keep users safe, advocate respectful conduct, safeguard original content, and maintain an abuse-free platform for sharing. In the Tools section, users will find information on how to stay safe, secure, and protected while using Facebook. Aside from the wealth of information, this section is a how-to guide on Facebook features like blocking and unfriending, setting up login alerts, or turning on timeline review. 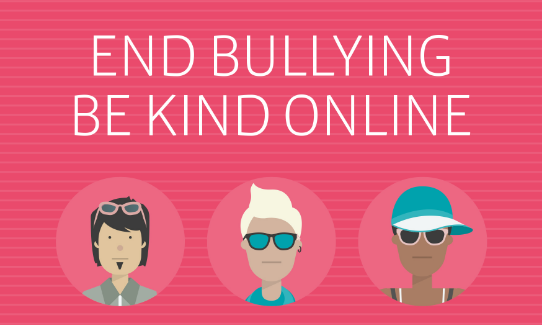 Under Resources are a few PDFs covering problems like over-sharing, helping friends, and online LGBT bullying. There's even a link to suicide hotlines organised by country. The original Safety Center was launched in 2010. Shortly after that, in 2013, the Bullying Prevention Hub was launched. A creation of Facebook engineers and the Yale Center for Emotional Intelligence, the hub had sections specifically for teens, parents and educators as well as safety and security tools for cyber bullying. The revamped Bullying Prevention Hub hasn't changed much, offering the same subdivisions of audience with tools/resources in case of bullying or for bullies to reform. It is built into the same page as the Safety Center.